Skilled labor is in demand and it’s important that the fit between the people and the jobs is airtight. That’s why hiring managers look to AurStaff® to source the labor needed to keep production running and quality high. We know staffing in the industrial and skilled trades arenas inside and out. We understand the dynamics, the pressures, and the level of quality required to ensure productivity and safety. At AurStaff, we take pride in our work and in placing employees who have respect for the job at hand. 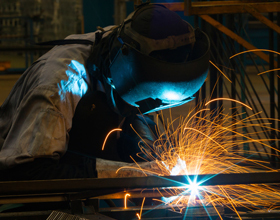 From those on the manufacturing line and in the warehouse to welders and machinists, we thoroughly screen and evaluate each employee before the job begins. We also take the same care in assessing opportunities so our employees are able to fully use their skills and be a valued part of the team. Whether the staffing need is immediate, for the short term, or a full-time assignment, we provide the people who will get the job done right.